Sweating through a dress shirt at an outdoor wedding inspired Jeff Schattner to start Lawrence Hunt. 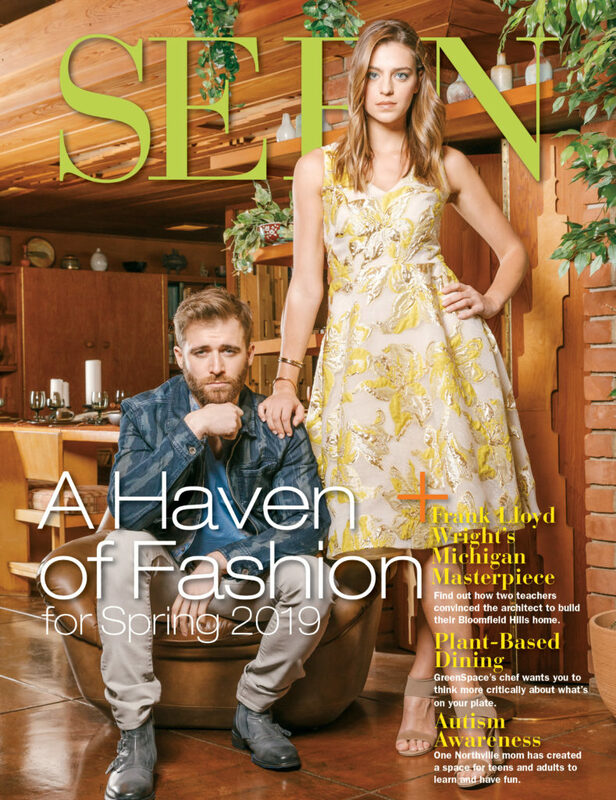 He tells SEEN more about launching the online retail shop and unique new dress shirts coming out. 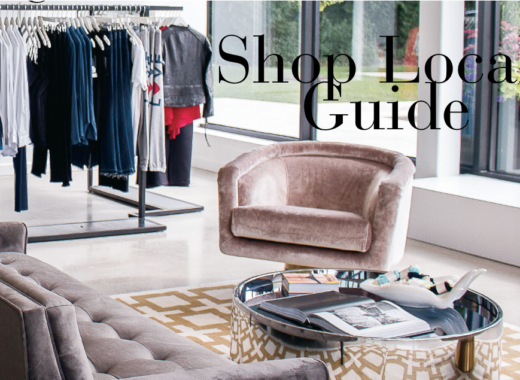 Check out the shop on the SEEN Marketplace. 1. What inspired you to get into this business? I used to dread going into work every day as an accountant, and I was constantly looking for something else to do. 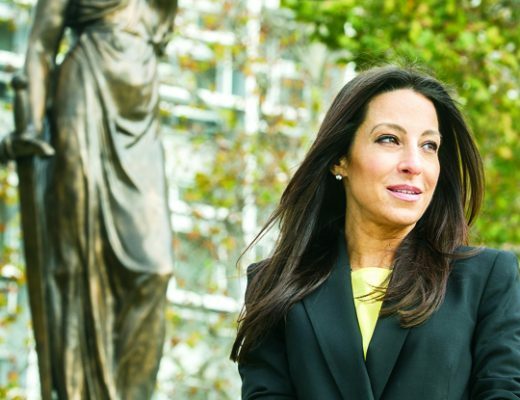 I’ve always had an entrepreneurial spirit and was always interested in starting my own business. In college, I started an online clothing resale business. A few months into my first job in accounting, I was running a social club for accountants with bowling and other leagues. But it wasn’t until I was feeling miserable, sweating through my dress shirt at a friend’s outdoor wedding in June 2013, that I had my “a-ha” moment that inspired me to create a better dress shirt. Jeff Schattner, founder of Lawrence Hunt. 6:30 a.m. – Wake up. Check email. 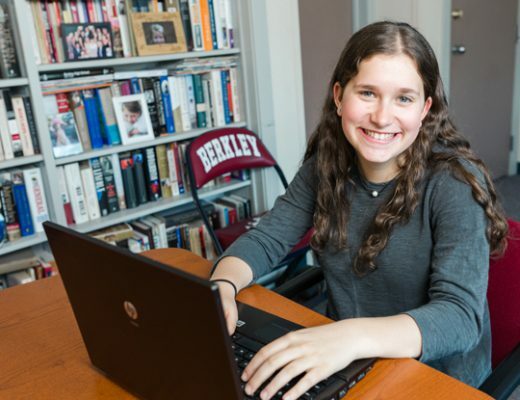 Get kids ready for school. 8:30 a.m. – Drop off kids, grab a coffee, listen to a podcast (current ones: “How I Built This,” “The Pitch,” “Serial” or the “NBA Show”), as I head to the Lawrence Hunt office. 9:30 a.m. – Review prior days sales and analytics. Calls/emails to brand partners. Strategize and update email and digital marketing for the day/week. 11:30 a.m. – Pick up a quick lunch (often Chipotle), grab coffee with an advisor, business partner, photographer, videographer, etc. 12:30 p.m. – Touch base with other team members (social media and creative strategist, and customer service and operations manager) and go over any issues or questions for the day. 2:00 p.m. – Review our sales and analytics for the day. Review our inventory status. Updates to the website. Email different customer segments. 5:00 p.m. – Pick up kids from school or pick-up/make dinner. 6:30 p.m. – Family time. 8:30 p.m. – Put kids to bed. 9:30 p.m. – Depending on the day, either gym, grab a drink with a friend or email overseas partners and plan for the next day. 11:30 p.m. – Flip through Twitter/Instagram, read Entrepreneur magazine, Fast Company, etc. until I fall asleep. 3. Who inspires you in the fashion world? 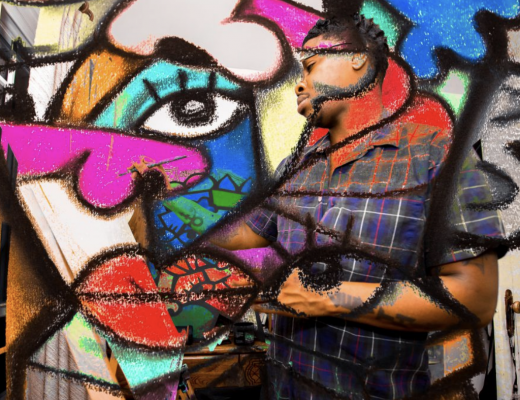 As a direct-to-consumer online fashion/clothing brand, I’m inspired by those companies and founders that have created a road map to success in the “digitally native, vertical brand” space. 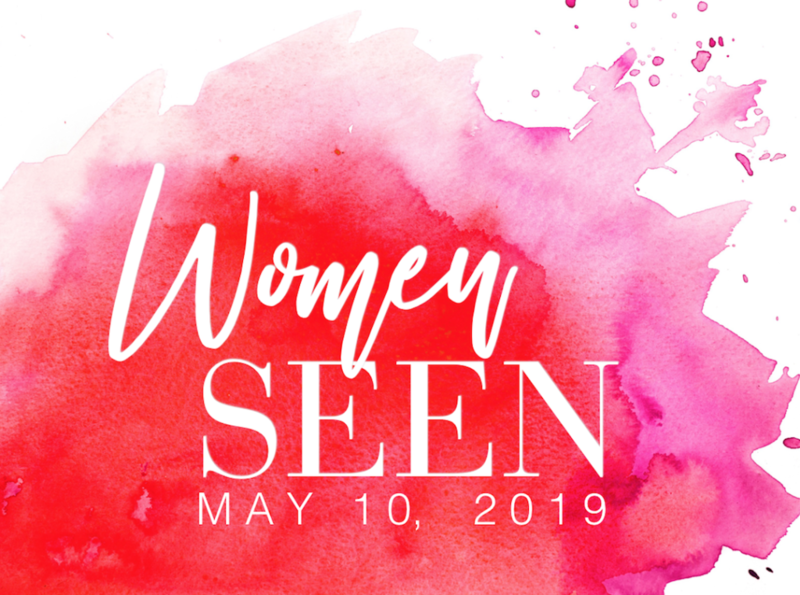 I’m inspired by founders such as Neil Blumenthal of Warby Parker, Michael Dubin of Dollar Shave Club and Chris Riccobono of Untuckit. 4. What is the mission of Lawrence Hunt, and how do you want customers to feel when they shop online? 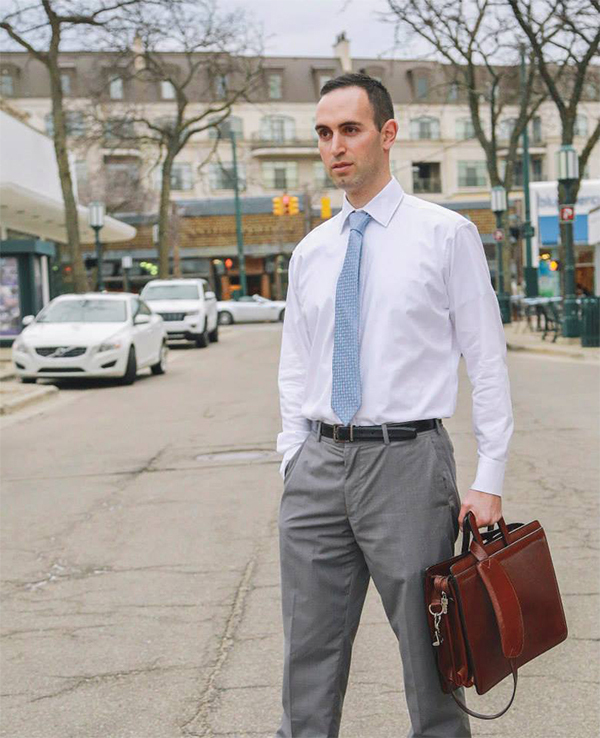 Our mission at Lawrence Hunt was to reinvent professional wear and help you feel more comfortable and confident while at formal events, work, interviews, happy hours, etc. — whether it’s eliminating sweat stains, or providing more movement in your shirts. For many people in professional settings, they spend more than half their waking hours in clothing that is uncomfortable. For 100-plus years there was no innovation to the dress shirt; it felt like you’re wearing a straight-jacket. We set out to change that. Most importantly though, we value our customer’s experience online, whether it’s on our website or interacting with our team. We want them to feel like they are getting a one-of-a-kind experience with a one-of-a-kind shirt. 5. 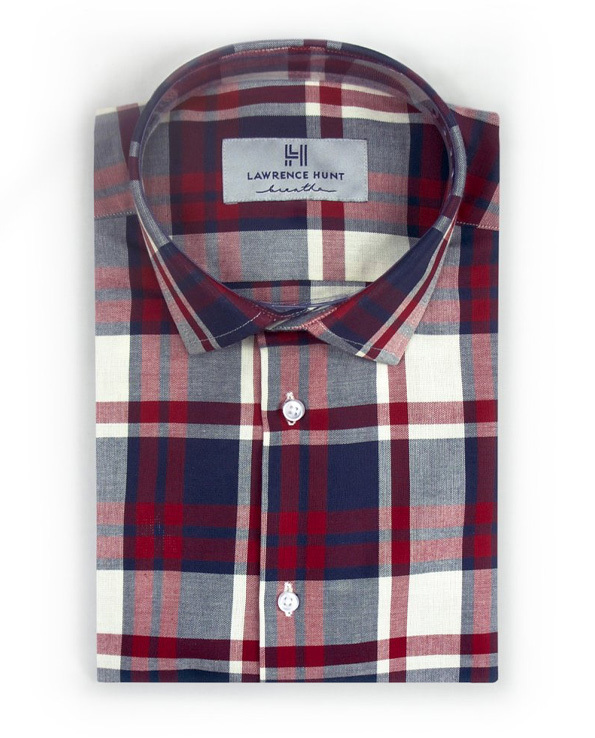 What are your current favorite items online at Lawrence Hunt? 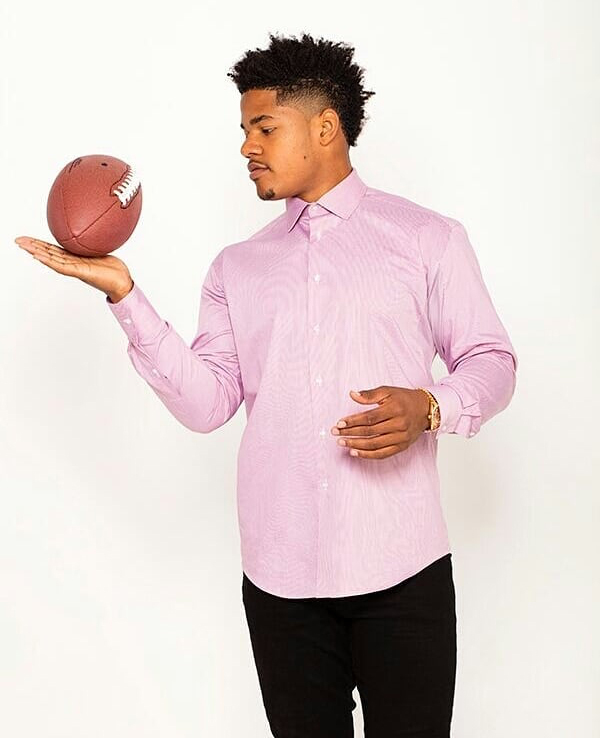 First, I love the shirt we collaborated on with New York Giants wide receiver Sterling Shepard. We used the Giants’ color scheme for inspiration and designed a really cool plaid pattern for it. I also really love our new white shirt with blue thread, and blue fabric inside the cuff. Everyone seems to love the subtle accent on this shirt, and we get a lot of great feedback. New York Giants wide receiver Sterling Shepard for Lawrence Hunt. 6. Are there any new products that you will soon carry that excite you? We have two new types of shirts coming out I am really excited about. 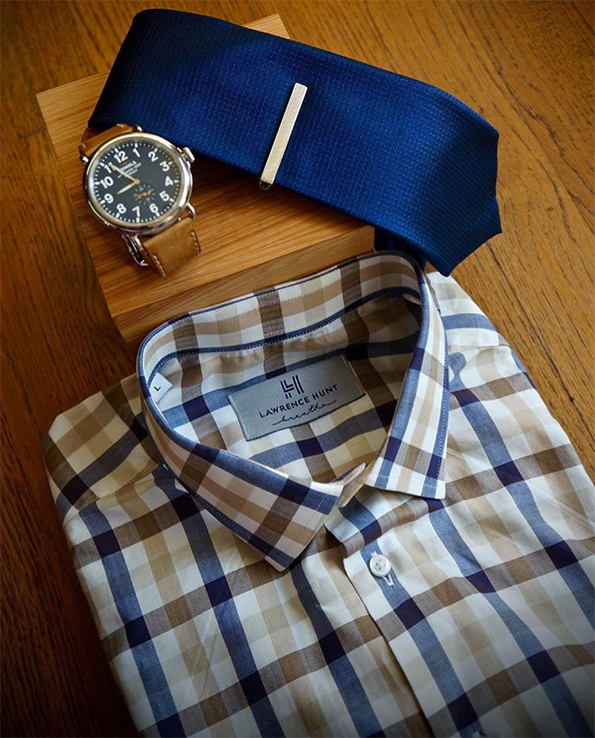 First is our “featherweight” dress shirt. The idea of the shirt was to have a button-down nice enough for work/happy hour, but that felt like your favorite T-shirt. 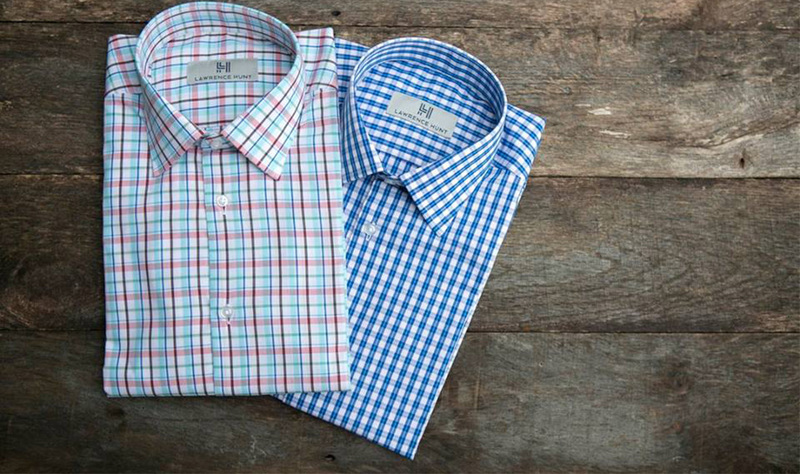 It’s the softest and lightest button-down you will ever wear. It’s so soft you can sleep in it and head straight to work! We tested these with 50 customers and the response was amazing. The other shirt is our “stretch” dress shirt. This shirt is made entirely out of activewear. It has more stretch than all of the other performance dress shirts on the market today. It’s a slightly more casual look, but I think it’s going to be really popular. 7. In regard to your personal style, do you have a signature look or accessory? My signature look is typically a Lawrence Hunt shirt or polo, untucked with khakis or jeans. 8. A few items in your closet that you can’t live without? I love my Lululemon ABC pants. So comfortable and fits perfectly with my Lawrence Hunt shirts! Also, our stylist found this awesome pair of Cole Haan sneakers for one of our photo shoots. They’ve become my favorite pair of shoes. 9. Favorite fashion, lifestyle, food or business blog? I do more podcasting than blogs. Some of my favorite business podcasts are: “How I Built This,” “Startup” “Mixergy” and “Business Wars.” I could read, watch or listen to anything about building a business. 11. When not working where are few local places you like to hang? Iron Horse in Royal Oak has been my favorite “go-to” drink spot for a while now. I really like going to the new “Johnny’s” now, thanks to a SEEN Magazine recommendation. On Thursdays I try to catch former Michigan quarterback Devin Gardner recapping the previous week’s football game at Tap House in Royal Oak. 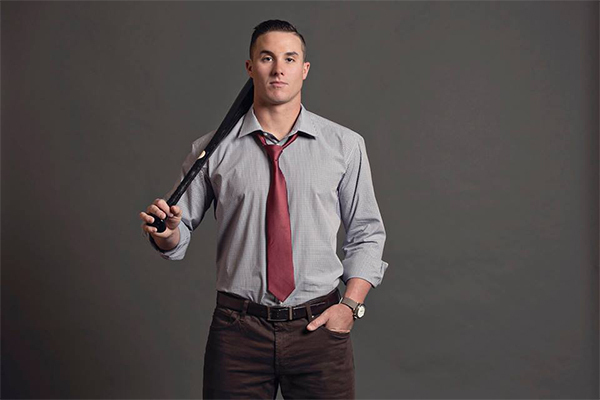 Detroit Tiger’s starting catcher and Lawrence Hunt ambassador, James McCann. SHOP: “Grove” Standard Shirt Red/Pink, $78. SHOP: “Elliot”- Red and Blue Plaid: No Sweat Dress Shirt, $95. 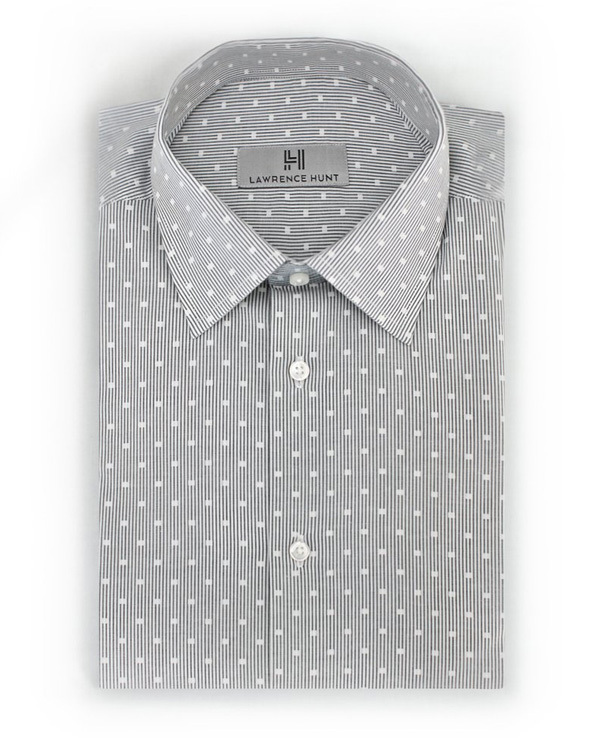 SHOP: “Woodward”- Gray Dots: No Sweat Dress Shirt, $95. 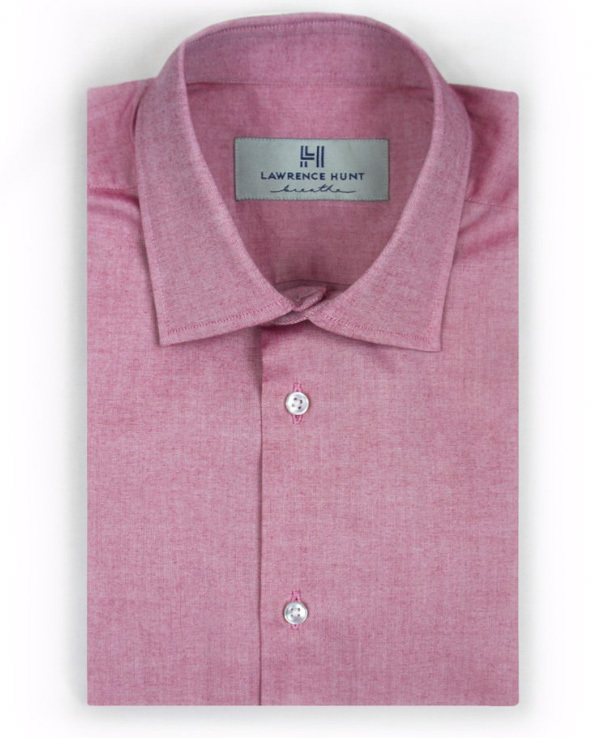 Shop Lawrence Hunt products at lawrencehuntfashion.com. Follow @lawrencehunt_co on Instagram and other social media accounts for promos and new products!